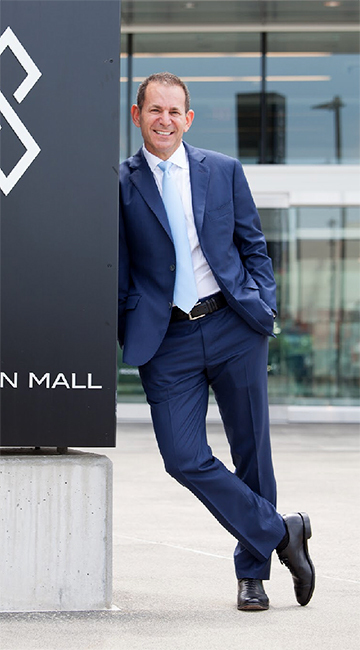 Founder Ron Koenigsberg’s passion for real estate grew out of the childhood experience of watching his father survey buildings and construction sites. “Helping people like my father find the perfect property to call their own eventually became my ultimate dream, “ he said. The path to that dream began in the fiercely competitive New York business world. Armed with a BS in accounting from American University’s Kogod Business School, Ron joined Arthur Andersen in the late 1980s when it was one of the “Big 5” accounting firms. There, Ron proved his talent for meeting the rigorous demands of a numbers-oriented environment and gained valuable insight into the tax and financial aspects of real estate. Seeking a more creative outlet for his skills, Ron went on to earn a master’s degree in real estate and development from New York University’s Real Estate Institute. He then started working in the New York office of Japanese insurance giant Chiyoda Life as head of its real estate acquisition department. Entrusted with an annual budget of $360 million, he demonstrated his aptitude for large-scale capital management and deepened his financial expertise. While at Chiyoda, Ron’s financial judgment was further strengthened by his extensive exposure to the seasoned wisdom of top executives from industry-leading real estate investment firms. Ron embraced the chance to learn from their experience. This openness to diverse ideas and perspectives is one of the hallmarks of Ron’s career. “I believe every person I meet has the potential to teach me something new,” he said. His next move, to a position as Senior Vice President of a Long Island–based commercial brokerage firm, enabled him to apply the knowledge he’d gained at Chiyoda to the specific opportunities and challenges of the Long Island market. Ron’s latest accomplishment is being honored as a CCIM. Awarded by CCIM Institute, a CCIM (Certified Commercial Investment Member) is a recognized expert in the commercial and investment real estate industry. Only 6% of allcommercial real estate practitioners hold the elite designation, which reflects not only the caliber of the program, but why it’s one of the most respected designations in the industry. Ron has worked tirelessly to earn this elite designation. On March 24, 2015, in Chicago, IL, the CCIM Institute and their local chapter members honored CCIM’s newest 146 designees during a pinning ceremony and reception. The 146 new CCIMs hail from diverse states and countries and have varying degrees of experience in commercial real estate. As a commercial real estate broker, Ron practices integrity on a daily basis, and utilizes, invests in, and supports the CCIM’s network and community. Ron’s credible portfolio and proven track record support his positive measurement. For these reasons and many more, Ron is a prime example of the very pillars of what CCIM represents. Ron has also been awarded the 2017 Commercial Broker of the Year award by the Long Island Business News.